If you’re searching for “Spray Foam Insulation“, “Foam Insulation,” “Spray Foam Wall Insulation” or “Spray Insulation near me,” in Phoenix, Mesa, or Scottsdale, Barrier Insulation can help! We proudly provide the highest quality and most effective expanding foam insulation sprays in the valley. 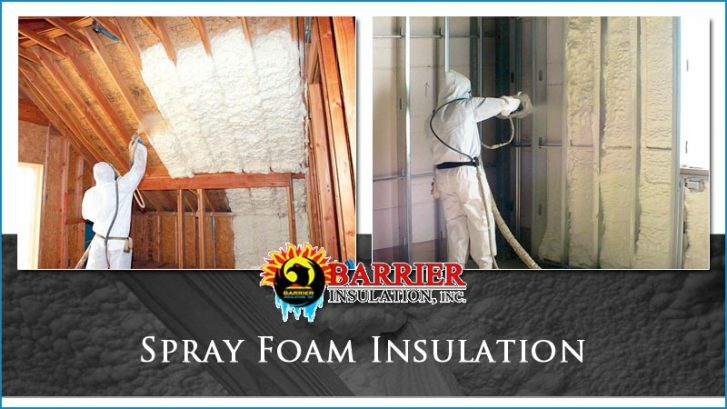 Barrier Insulation offers wall and attic spray foam insulation for both homes and businesses in the Phoenix Valley. Spray foam is one of the best types of insulation as it is high performance insulation, seals air leaks, and is versatile in where it can be installed. It keeps properties cool in the hot summers and warmer in the winter. 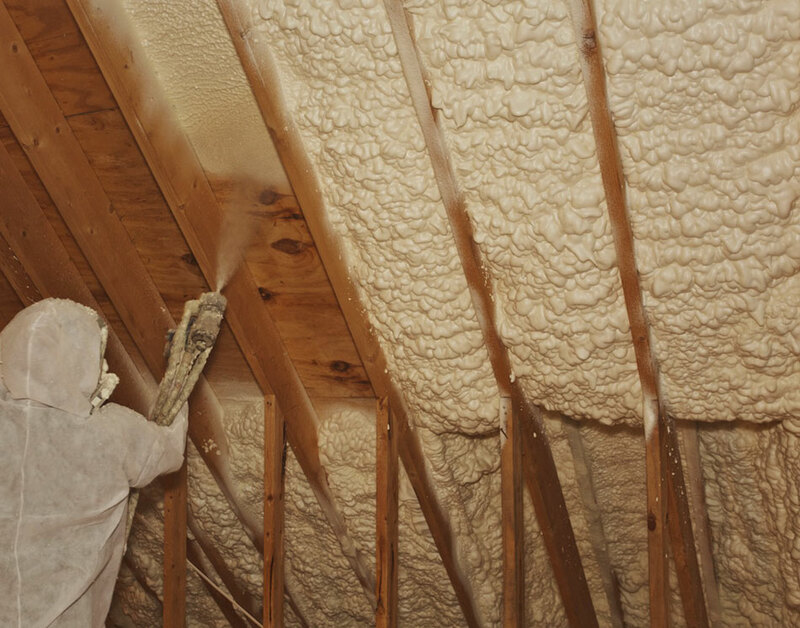 There are three kinds of spray foam insulation applications, spray foam attic insulation, spray foam wall insulation and spray foam basement insulation as well as two types of spray foam insulation, open cell spray foam insulation and closed cell spray foam insulation. We proudly offer spray foam installation and can remove old insulation that’s damaged or ineffective. Better home insulation keeps Arizona property owners cool, comfortable, and helps keep energy bills lower. Get in touch with Phoenix’s leading spray foam insulation contractors to start saving energy today! Spray foam insulation is as flexible in application as it is an effective insulator. Property owners can have spray foam insulation installed in a variety of places in their properties including the attic, walls, and even basements. This means that the energy saving, air leak sealing, high performance option that is spray foam insulation can insulate virtually your entire home. As the attic is the most prone to heat gain during summer and heat loss during winter it is the prime opportunity for insulation. Spray foam insulation is one of the best options for attics as it helps stop heat from entering the home by stopping it in the attic. In addition, as spray foam expands it gets into the tiny gaps and cracks you can’t see to seal the weather out of your home. The walls of your home are another important area to cover with insulation to manage the cost of cooling and heating your home. All of the walls in your house are prone to air leakage and temperatures from outdoors. The walls facing the sun in the summer are also big sources for heat making it’s way in. Spray foam insulation can be installed between wall studs to both insulate and seal up air leaks. In basements you can use spray foam insulation to section off unfinished basements from your heating and cooling envelope, or you can use it to keep a finished basement comfortable. As basements are common places for drafts associate with plumbing, HVAC systems, wiring, and other elements it is frequently drafty. Use spray foam insulation to seal up gaps and keep your basement comfortable. Open Cell Spray Foam Insulation – Another option for homeowners, that’s a little more affordable, is your open cell variety of spray foam. The name is descriptive and derived from the fact that the cells or bubbles are not closed. During the curing process air gets caught between the broken bubbles and they never completely close. A benefit of this fact is that as heat tries to pass through the air pockets that naturally occur with open cell spray foam help slow heat transfer. This type of spray foam insulation is much softer than closed cell. Also due to the difference in internal structure water can pass through it. Depending on the construction application this can actually be a benefit. When it comes to the R values of the open cell variant of spray foam you can expect about a 3.5 R value, or roughly half as effective as the closed cell type. Closed Cell Spray Foam Insulation – The defining characteristic of the closed cell spray foam is that the bubbles or cells in the material are packed closer together. This makes for a much more dense and stronger foam than your open cell variety. Closed cell spray foam is water and air tight and will not let either pass through it. The explanation for this is that the bubbles are super close together and filled with a gas. The actual insulating performance of closed cell spray foam is an astounding R-7 for every inch! Choosing closed cell insulation is for the home owner who is serious about saving money on energy bills and extending the life of their home. Do to the numerous drawbacks of fiberglass insulation, spray foam insulation is highly recommended for homeowners in Arizona. You can learn more here! The average spray foam insulation cost is $2,000. Spray foam insulation ranged from $1,186 to $3,452 in 2018-2019. *These are not our actual costs. Contact Barrier Insulation to get an actual quote today. Spray foam insulation although more expensive is certainly worth the additional outlay when you consider the benefits. It a superior insulator not only sealing air that moves in and out of the home but will lower your utility costs, produce better air quality and add the resale value to your home. Click here to learn more details. The professionals at Barrier Insulation are the trusted experts in spray foam insulation, Here is the step by step process they use each and every time to ensure the best possible job is always completed. Spray foam insulation is the leading 100% water-blown foam insulation that minimizes air leakage for increased energy efficiency (often as high as 50% of conventional costs), creates a healthier indoor environment, reduces airborne sounds and offers greater design freedom. Spray Foam insulation maintains its performance with no loss of R-value over time. It does not shrink, sag or settle. 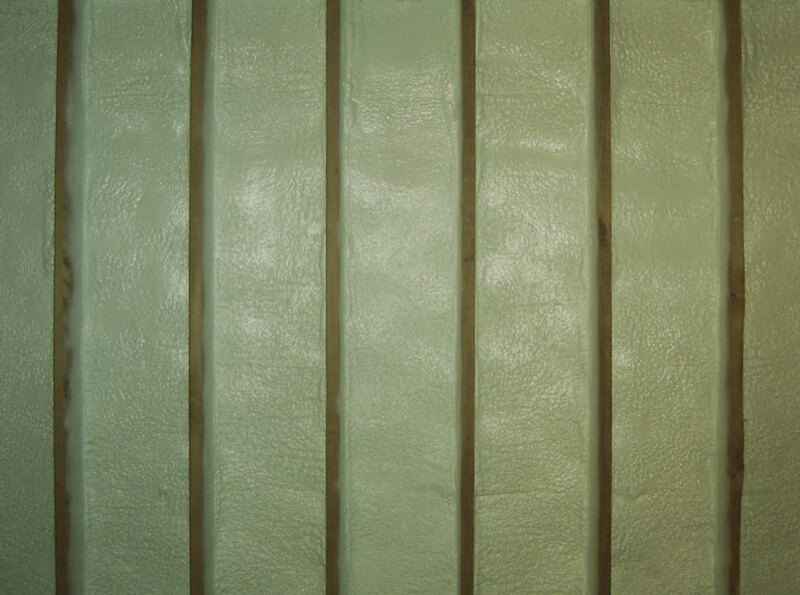 Spray Foam adheres to most construction materials and is the perfect insulation for walls, attics, ceilings and floors. We offer Spray Foam Insulation Valley & State-Wide. Check out our premier spray foam products Click Here. Applied as a liquid, Spray Foam expands to 100 times its volume in seconds to fill every crack and crevice while remaining flexible so that the integrity of the building envelope seal remains intact over time. The spray formula has an R-value of 3.6 per inch. It acts as a complete insulation and air barrier to minimize air leakage and seal the building envelope for optimal air tightness. The reality of owning a home is that that with the ground settling and the natural elements wearing on your house gaps, cracks and holes will appear and will allow air in and air out. That means heat leaking in during the summer and that precious air conditioning leaking straight out. Clearly we all already spend enough on electricity and would like to save in any way we can. The Department of Energy estimates that the average American home loses about 30% of its air conditioned air through these unavoidable cracks and gaps. It goes without saying that the cracks in your home’s structure mean that simple R values aren’t the only thing that is going to be the best solution for your insulation needs. If the air is pouring out all day and night the solution is that air tight seal that will make your home more efficient and therefore cut down on your energy costs. Rolls of fiberglass insulation or rigid board don’t fit perfectly into every space and every crevice. The natural process of expansion with spray foam is what makes it the premium and most long term cost effective solution. Getting your spray foam insulation project started in the Phoenix area is as easy as a little reading and a phone call. In this page you will find all the information you need to make decisions for your home insulation project. Barrier Insulation will make the insulation installation simple and painless for you. Read over the information here or just call and we can help you make the best decisions for your home or business. Polyurethane foam insulation comes in a couple different configurations, spray foam insulation is the most popular type of insulation that has numerous benefits vs. more common cellulose and fiberglass insulation. Spray foam is great for upgrading your homes insulation, major remodels as well as new construction build outs. This foam serves a great thermal and air barrier. Know Your Needs – For the homeowner it’s crucial to understand the types of options they are going to be offered by new home builders or insulation contractors. Whether you’re building your dream home or just want to have lower electricity bills you should be specific about what kind of insulation options are being offered to get the best bang for your buck. At Barrier Insulation we strive to inform home owners and ensure they know what they are getting, and getting the best customer service. Spray foam insulation is easily applicable to vertical, horizontal or inverted surfaces in all areas of your home including your attic. That means that when you decide to upgrade to spray foam insulation there will be various choices on methods and ways to start. Most often this type of installation is applied to the bottom of the roof deck. For new construction building we can apply in the material into the cavities of the wall or anywhere its needed. After installation we make sure the walls are scraped for easier installation of drywall. If you are planning about using spray foam for your next insulation product, we can help. Spray foam is more energy efficient and will save you money, energy efficiency and likely increase the property value of your home. Barrier Insulation, your spray foam insulation contractor in Phoenix, AZ. Call us today at (602) 499-2922. Ridgid foam board is another type of polyurethane insulation and has it’s own particular applications. This product is made from plastic foams and can be an effective choice for certain applications. These popular applications for rigid foam bard are things like insulating the exterior of buildings and foundations. Along with being used on the outside of the building it can be used in the wall cavities themselves. It’s sold in various sizes and can even feature a foil that faces out to increase its insulating efficiency. This product is made from plastic foams and can be an effective choice for certain applications. These popular applications for rigid foam bard are things like insulating the exterior of buildings and foundations. Along with being used on the outside of the building it can be used in the wall cavities themselves. It’s sold in various sizes and can even feature a foil that faces out to increase its insulating efficiency. • It out performs loose fill insulation when it comes to R-values. • Some variants are water resistant and can be buried in the soil around the foundation. • Foil and Plastic layers are available for applications that will be exposed to moisture. • It’s very difficult and time consuming to try to get that air tight seal. • Between the boards tape must be added to again, try to make that air tight seal. • It’s sensitive to UV damage, and must be installed so it’s not exposed to sunlight. • There are tiny air bubbles that can trap water, and possibly become ineffective. • It will never be as good as spray foam insulation. 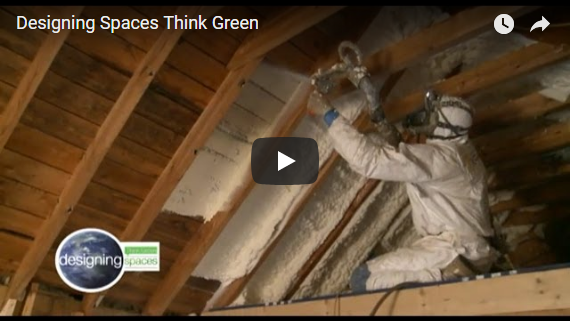 This video illustrates the amazing expanding properties of spray foam insulation. It is this characteristic which helps spray foam fill in the gaps that other insulation types just can’t reach. 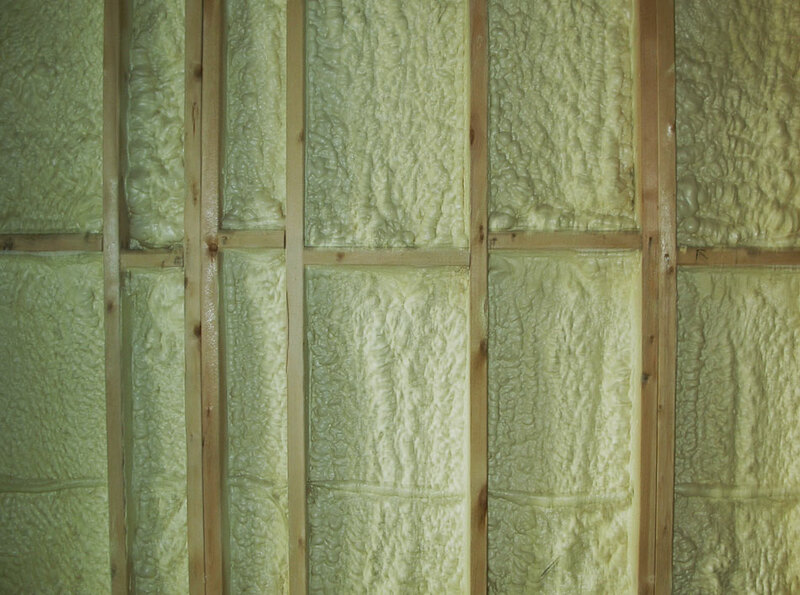 Watch this video to understand the savings associated with spray foam insulation. With energy prices rising having a home that simply stays more comfortable saves a bunch of energy. Saving energy is about more than saving on your monthly utility bills, it is about using less energy and reducing each home’s carbon footprint. Spray foam insulation helps be more eco friendly. When choosing spray foam insulation it is best to choose hypoallergenic foams that have low chemical emission. Quality spray foam also helps keep the pests and allergens outdoors improving the indoor air quality. Temperatures in Phoenix vary greatly through out the year. From the highs of on average of about 104°F during the summer and lows around 43°F during the winter insulation plays an important roll in every home. Mesa temperatures vary greatly from summer to winter. From the highs of on average of about 106°F during the summer and lows around 40°F during the winter insulation plays a critical roll in every home. Temperatures in Scottsdale vary greatly between winter and summer. From the intense highs of 103°F during the summer and lows around 42°F during the winter insulation keeps homes more comfortable. Glendale temperatures range as high as 105°F during the summer and as low as 41°F so like anywhere in the valley effective insulation keeps your energy consumption down and electricity costs more affordable. Schedule Spray Foam Insulation Installation in Phoenix, Glendale, Scottsdale, Mesa & More! Spray foam insulation is the most effective insulation type for our hot climate. It seals gaps and cracks keeping your home more comfortable along with offering industry leading insulation performance. As it is sprayed it expands to 100 times it’s originally volume getting into hard to reach spots and those energy wasting air leaks. Call today to get your spray foam insulation installation appointment schedule by calling 602-499-2922 or 623-931-0637.